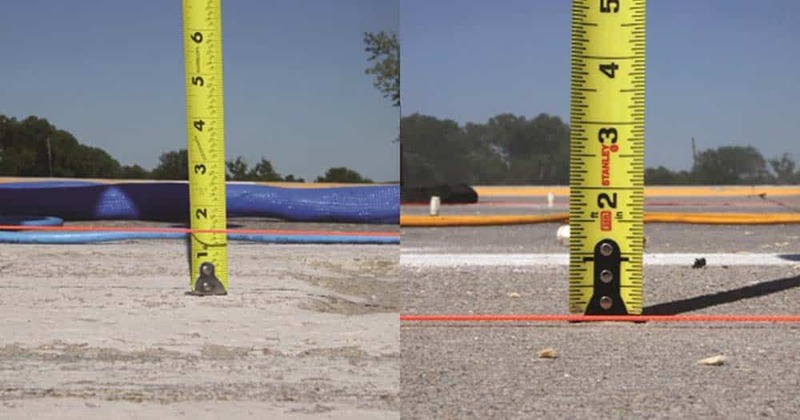 Total Foundation Solutions offers a proven solution to stabilize and level uneven concrete slabs, such as sidewalks, driveways, roadways and warehouse floors. With multiple formulas available, PolyLevel® can fit the needs of your commercial, industrial or municipal job, large or small. Supportworks' PolyLevel® System is designed to work under the most extreme conditions. 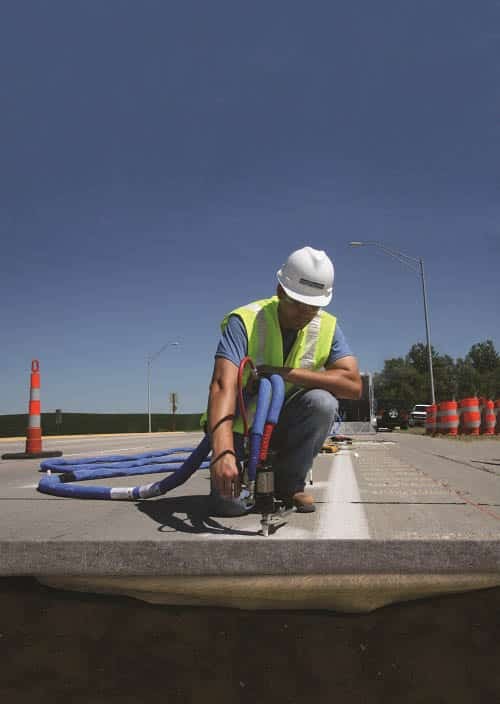 PolyLevel® uses a two-part urethane polymer that expands into high-density foam to fill voids, lift and stabilize concrete and solve a wide range of geotechnical and structural applications. Total Foundation Solutions is your professional PolyLevel® contractor in Northwestern PA and Western NY, specializing in concrete leveling and repair. Call us at 814-208-9442 or click below to request a consultation to discuss the scope of your project. We can select the right PolyLevel® formula for your specific application, whether it's concrete leveling, void filling, soil stabilization or joint stabilization. The PolyLevel® process and steps for installing PolyLevel® are the same for both commercial and residential applications. Non-invasive - PolyLevel® equipment can be used in extremely limited access areas and won't disturb lawn or landscape. Environmentally-friendly - With PolyLevel® there’s no need to demolish the concrete and transport the waste to a landfill. Total Foundation Solutions offers commercial concrete leveling and PolyLevel® installation in Edinboro, Erie, Warren and all of Northwestern PA and Western NY. Contact us today to schedule an on-site consultation and learn how PolyLevel® can solve your concrete settlement problems and a wide range of other structural issues. Get an estimate for your commercial project today - call 814-208-9442.